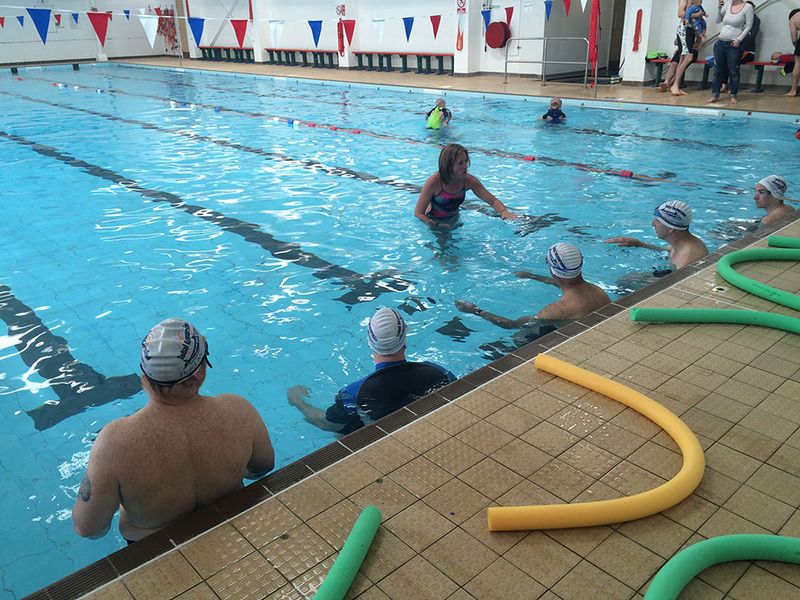 Count strokes not laps! 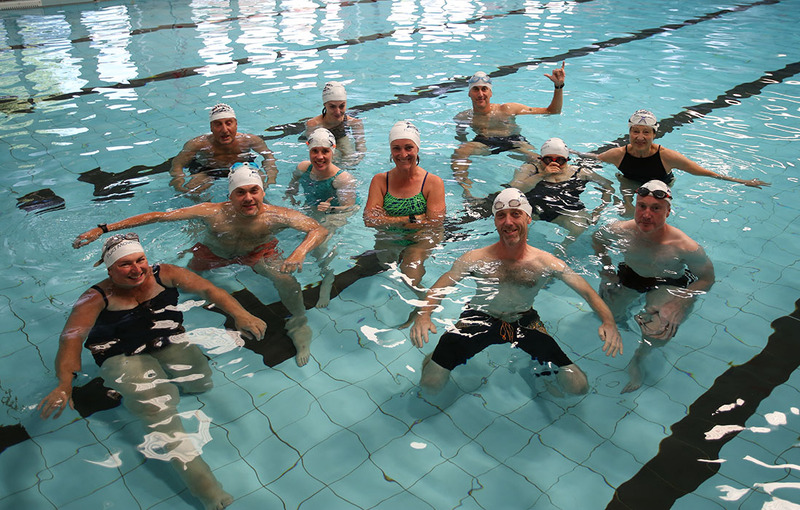 Swimming is a fantastic way to stay fit and Total Immersion training is an extremely smart way to learn. 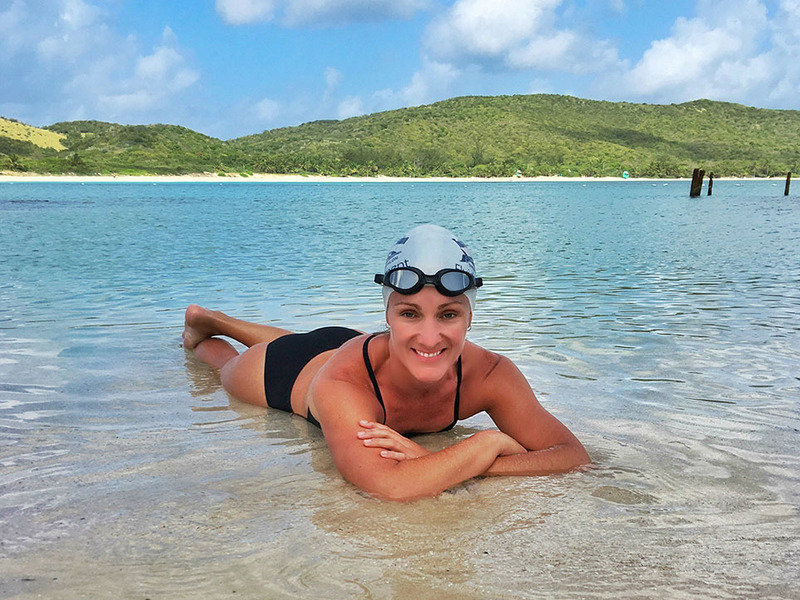 It trains your mind as well as your body how to feel stable in the water and make it the most efficient vessel it can be, enabling you to move through the water instead of the classic ‘survival’ swimming we often see. We are not aquatic mammals; therefore most of us have a tendency to fight the water. 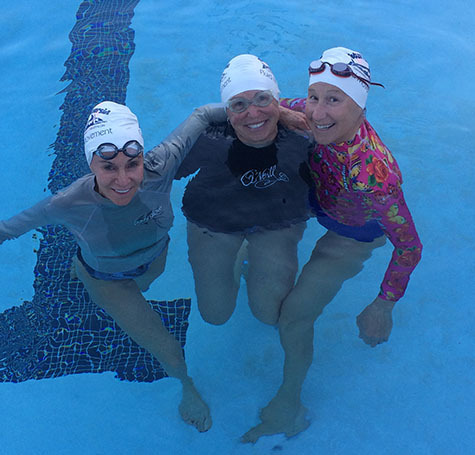 In doing so, we expend all our energy just ‘managing’ our swim and quite honestly numb out to how we are moving. By using focal points we can begin to heighten our awareness, so we have that sensory feedback. 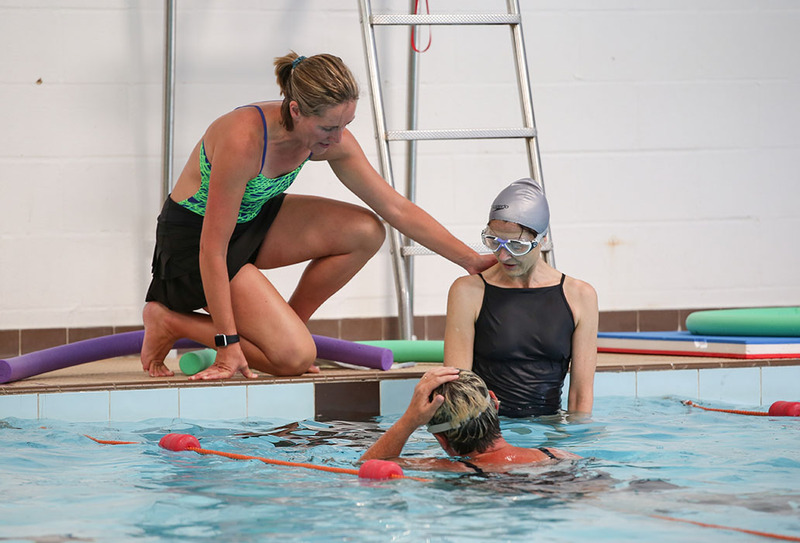 Before long our swimmers are able to identify the specifics of their own stroke and how to correct it in the moment to immediately make themselves more efficient. 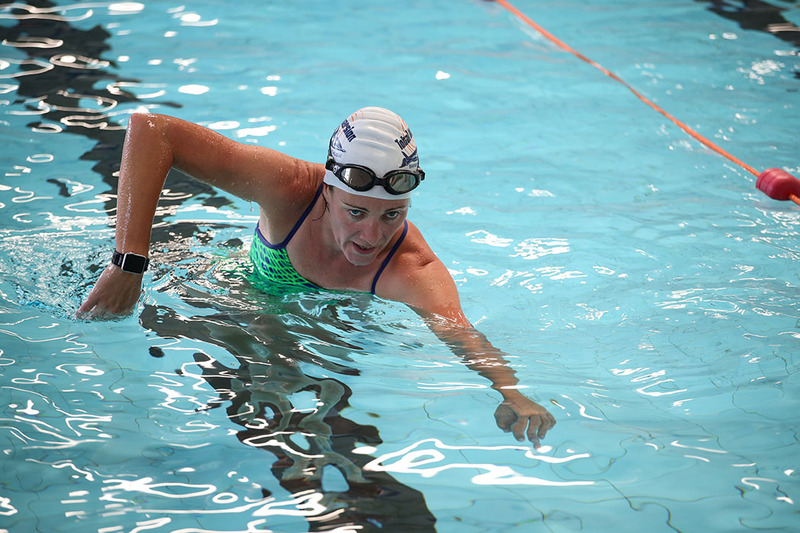 Perhaps you have a fear of water or are recovering from an injury. No-one is exempt from learning this method, everyone benefits! 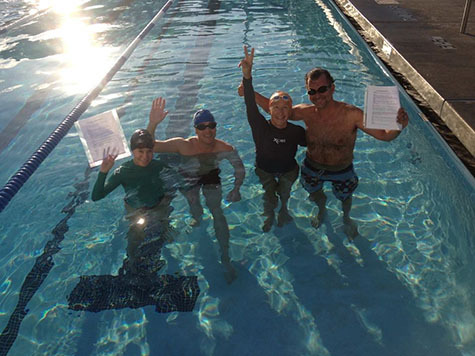 Whether you prefer a one-on-one experience or learning with a small group of friends, we specialize in private Swim coaching. 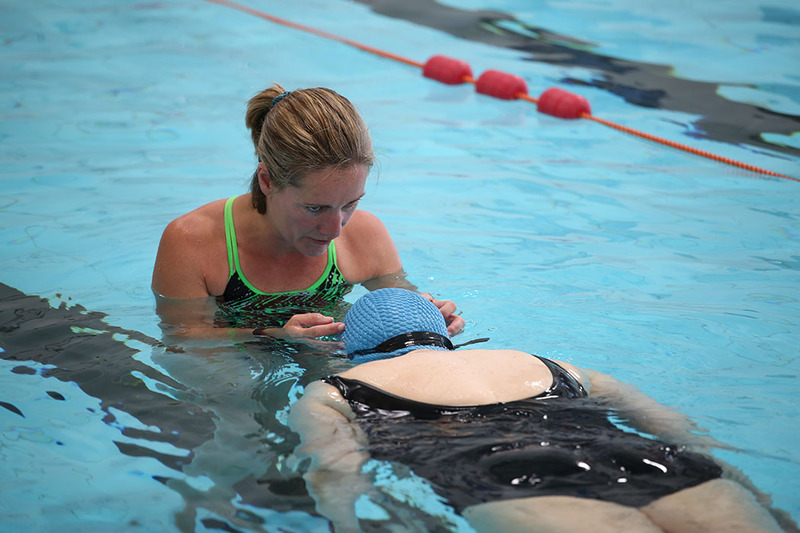 Working with the individual in the pool and on the deck we help our swimmers become comfortable with the water and work on drills that improve their stroke technique so they are more confident and efficient in their swim. 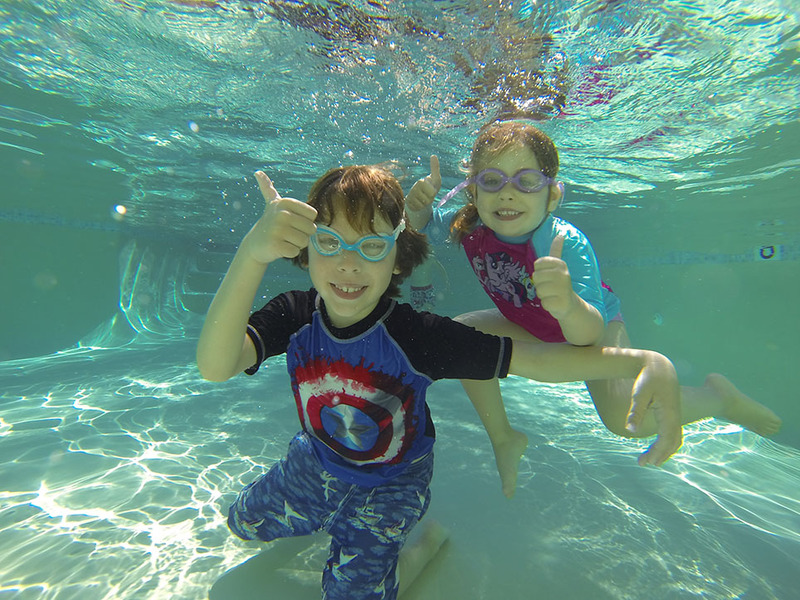 Our Private swim lessons are very personalized. We are not all cut from the same cloth. This is not a one-size-fits-all program. 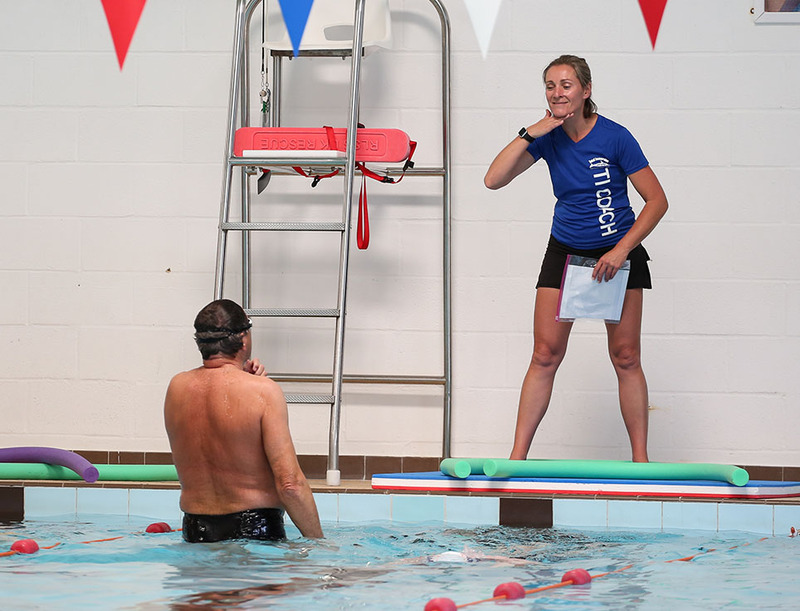 Everyone learns differently and has their own challenges; we tailor the program to you. 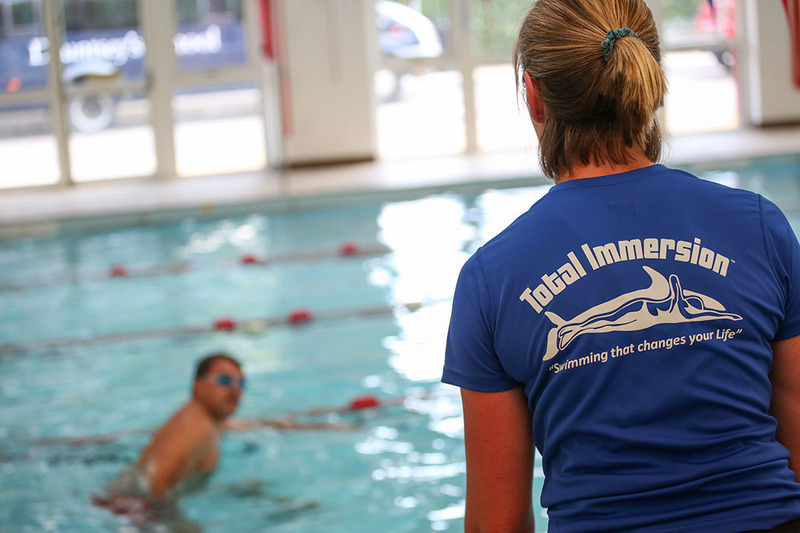 Our purpose is to integrate the main principles of swimming: Balance, Streamlining, Core Stability and Propulsion into manageable drills and focal points for the individual to imprint and retain. 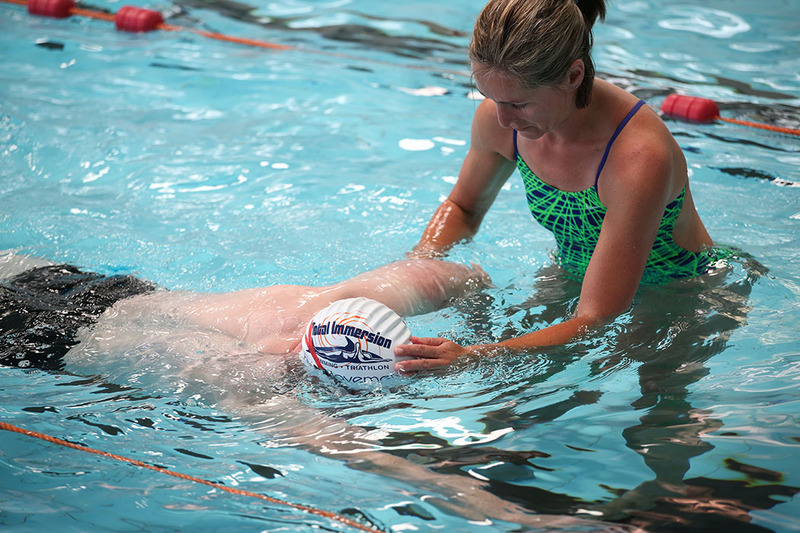 The more aware they become the finer the detail they are able to manipulate, until they can spend endless hours in the water without strain or stress. 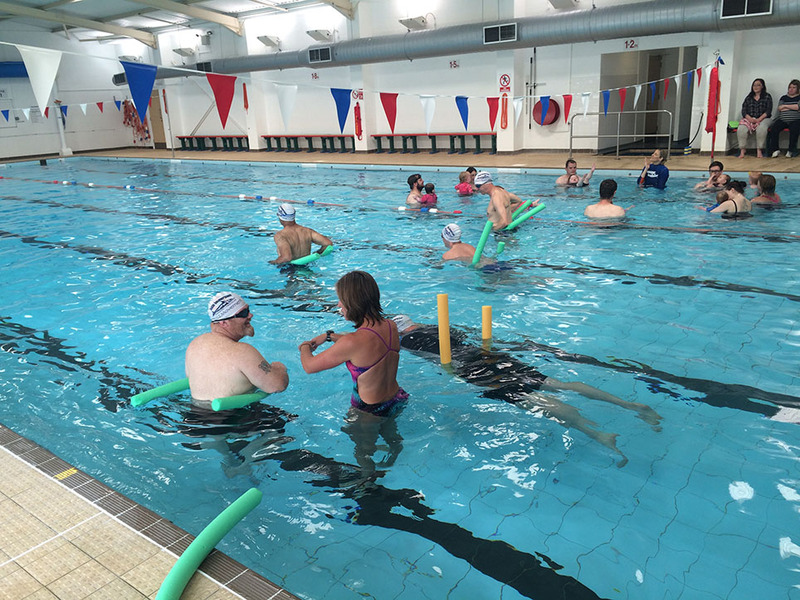 We offer a variety of swim packages from Individual sessions to discounted 6 or 12 packs. In addition we also offer a detailed video analysis for your own reference. While we are based in Los Angeles, we also hold other workshops throughout the year in various locations around the U.S. and internationally. Book Now! Real-time small group personalized feedback. 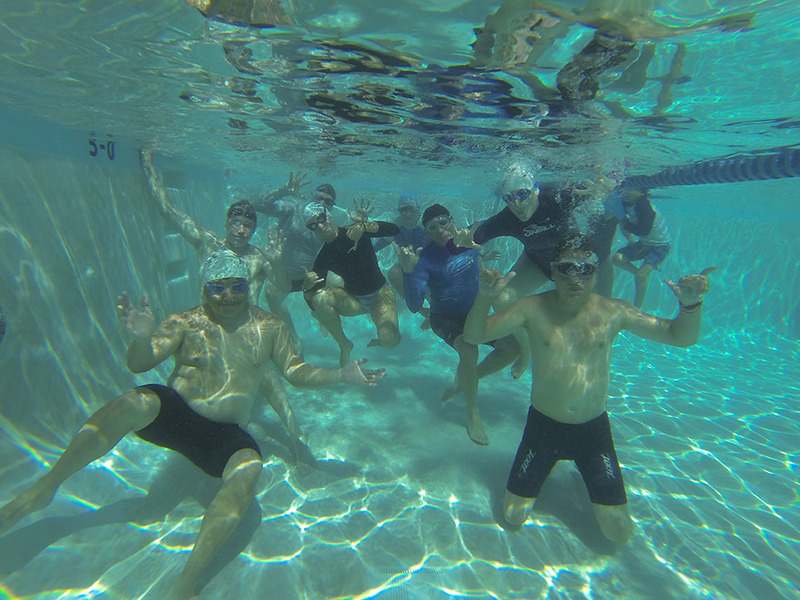 Please note: All Group swims are on a monthly subscription. Please contact us for more details. 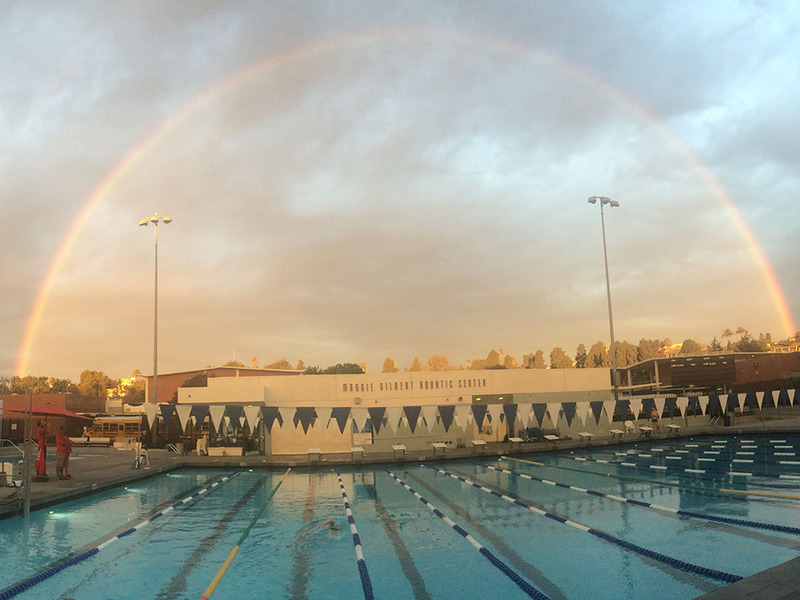 As swimmers ourselves, we have swum with many teams and Masters Programs and know that the typical expectation is all about the distance…but at what expense? 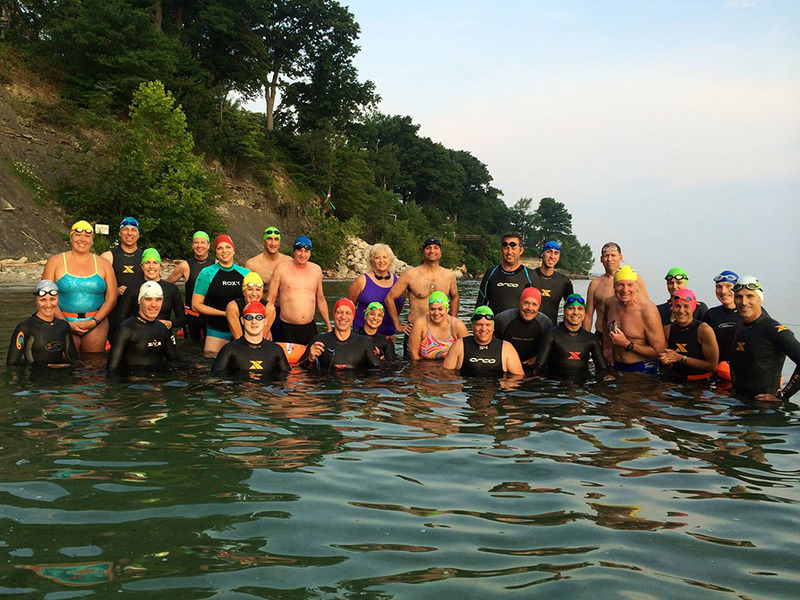 As a swimmer, it is very hard to stay focused on the technique when you are swimming with a large group that is not of the same frame of mind. 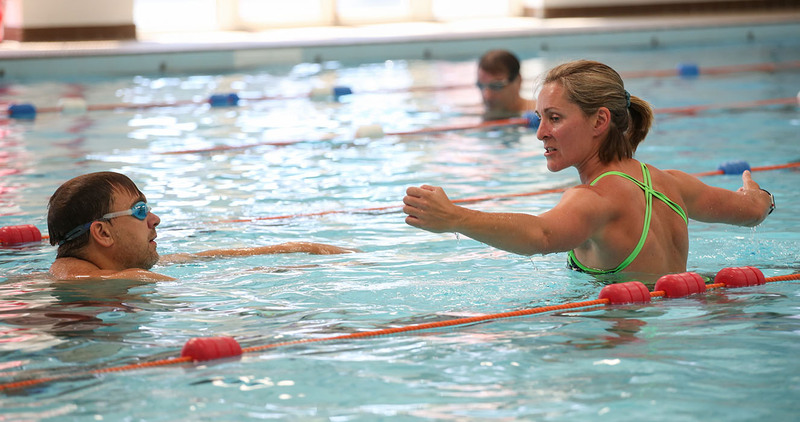 For the coach, it is simply not possible to keep an individual eye on that many swimmers. So we choose to keep our groups small, which can be less intimidating for some and allows more personalized feedback in real time. 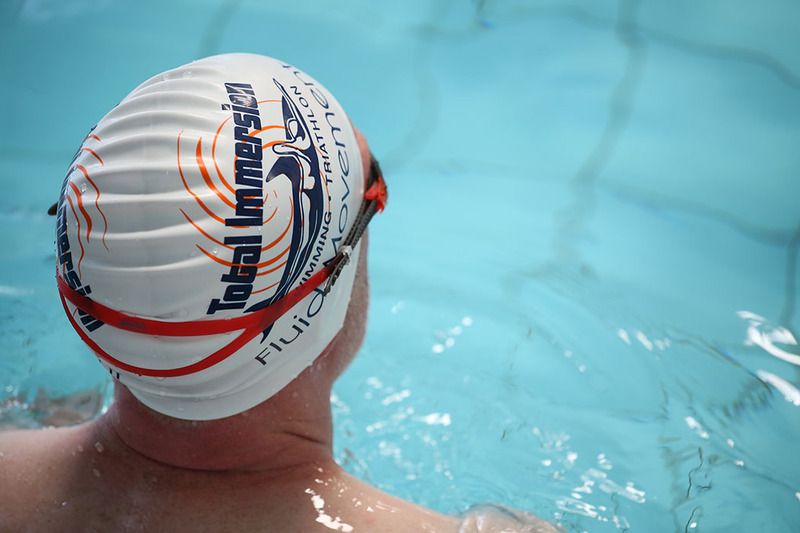 We encourage our swimmers to stay focused and in their own head space so they can learn and recognize over time if their stroke is a quality stroke, if they are swimming efficiently…& most importantly, what they need to do to correct it when it starts to fall apart. 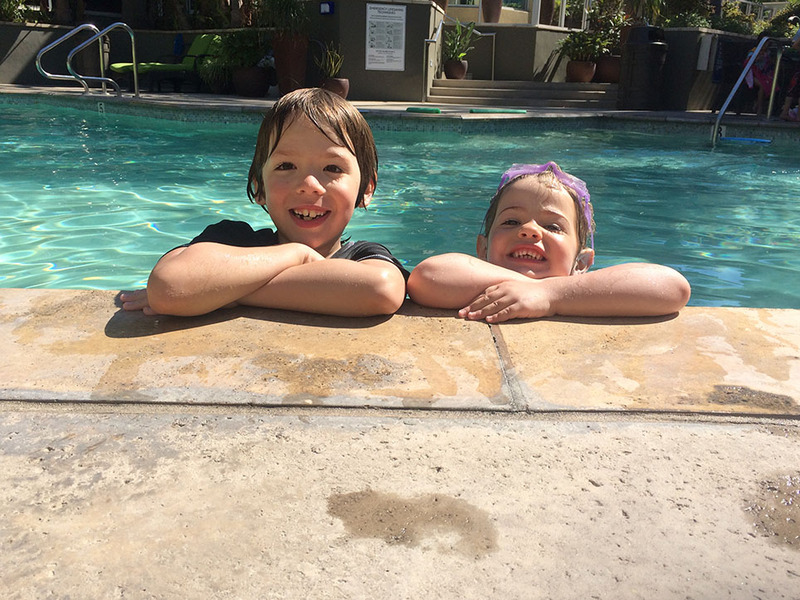 Then they can truly take advantage of the cardio benefits of the workouts and feel like they learned something every single time they get out the water. 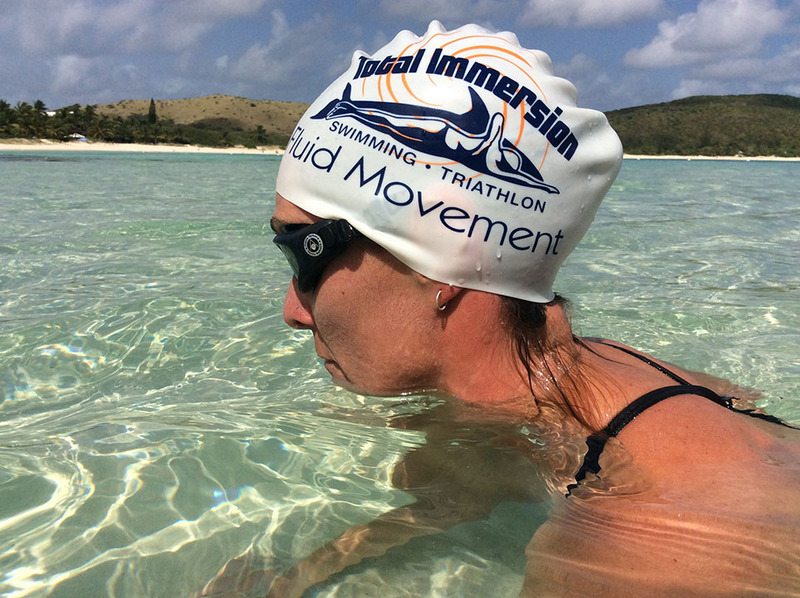 This is why we teach the TI method and use it as a good foundation of movement analysis in water. It helps the swimmer & it helps us. It’s far better than just bringing a bunch of individuals together of all different abilities and requirements and just giving them sets to do. Swim efficiently & the speed will come. Come join us and see for yourself!! Book Now! Be smart about how you train! We all have personal goals. For some it may be to walk without a cane or assistance, for others it might be to sign up for that race that they’ve always wanted to do or just to feel more confident and stronger. Whatever it is, we want to be a part of your journey and keep inspiring you. Whether you prefer a gym environment, the great outdoors or a personal home visit, we can accommodate. Our training philosophy: Training smartly is important. To train right you must start with a solid foundation. 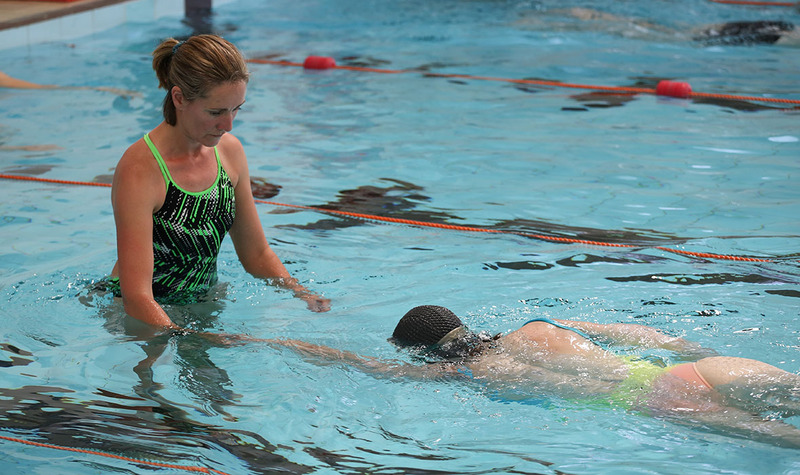 We use a systematic training approach. 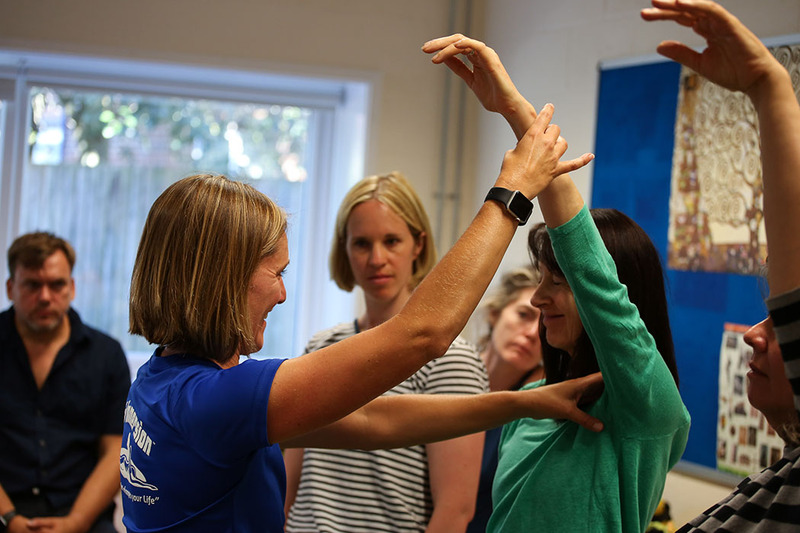 The base platform of all our programs is core stability and fundamental movement patterns which also address those often overlooked areas of balance and flexibility. Many of us have little to no body awareness in how we move and the older we get the worse that becomes. 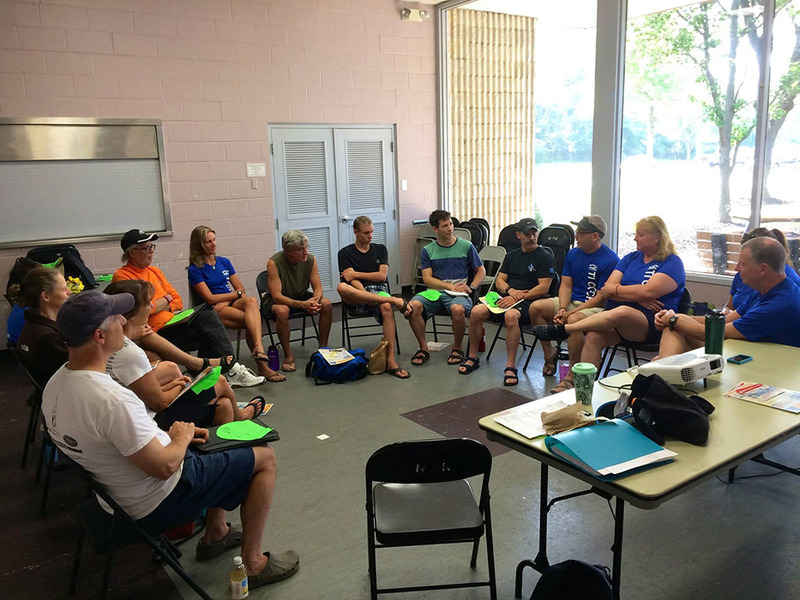 Our job as trainers is to educate and encourage our clients to become their best self by learning to move efficiently in whatever they are doing so we can avoid injury and not end up in Physical Therapy. Once we have established this we can layer this solid foundation with a multi-joint, multiplanar strength & conditioning program, tailored to the individual. Of course, if an individual has a race or competition they are shooting for, we must train for that, so the last layer of our programs are focused on specific sports skills & performance. If you don’t have a specific sport, no worries, we’ll just mix it up with a variety of challenges to keep you on your toes. We feel this multilayered approach is effective and works across all spectrums of clientele from pro-athlete to our senior clients. No matter where you are in your fitness/wellness journey, we have the trainer for you. Book Now! Strive to master…Pay attention to detail! It’s sad to say, but the majority of us have very little to no body awareness how we move and that’s how we get into trouble. Our mind says one thing and our body will take the path of least resistance. In many individuals significant limitations or left/right side imbalances exist at very basic levels of movement. Unfortunately, in many situations, the body’s ability to move through these fundamental movements goes un-assessed. If these limitations aren’t addressed the body learns to compensate and substitute with other movement patterns. This distorts our motor learning, movement perception and mechanics, leading to inefficient movement that causes a decrease in performance and an increase in injuries. This detailed analysis is an invaluable tool that helps us design specifically tailored programs for the client. These programs incorporate specific corrective exercises and strength training that aim to alleviate those problems and can be easily utilized in any program. 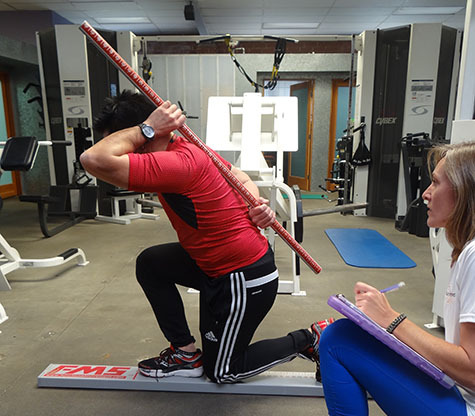 When this is accomplished the client will have greater movement efficiency, which will lead to improved performance. Book Now! Massage enhances ones mental & physical state. As a certified massage therapist, I will come to you for your convenience to enjoy a massage in the comfort of your own home. Book Now!